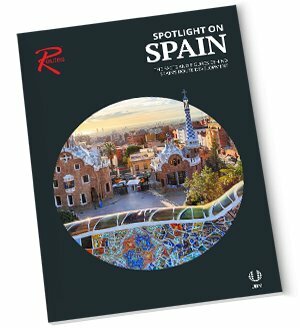 Routesonline's latest analysis of the European aviation industry, examining the top routes, airlines, airports and aircraft that are leading the market. 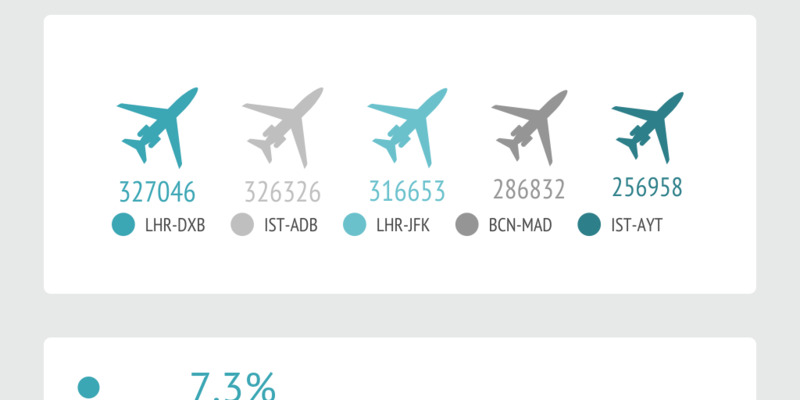 Routesonline analyses the European aviation industry, taking a monthly look at the top routes served and revealing the airlines that are dominating the market. 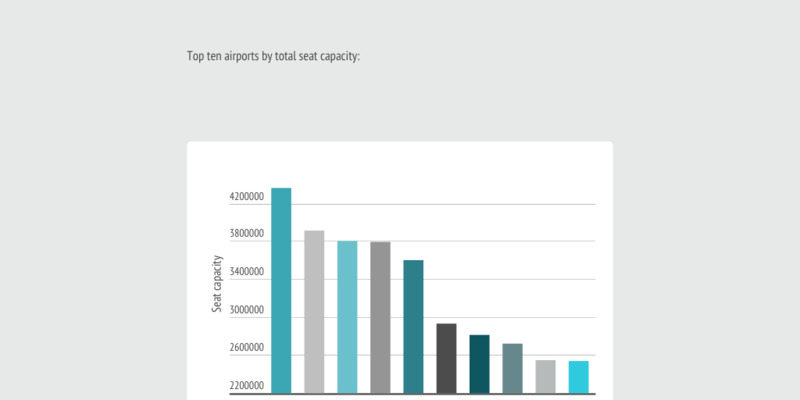 We also rank the top ten airports by available seat capacity and examine the most common aircraft used. London Heathrow (LHR) to Dubai International (DXB) ranked as the number one route for capacity during July 2017 with 327,046 available seats, growing 6.9 percent month-on-month compared with June. Barcelona (BCN) to Madrid (MAD) made the top five, but capacity fell by almost 29 per cent compared with the previous month. 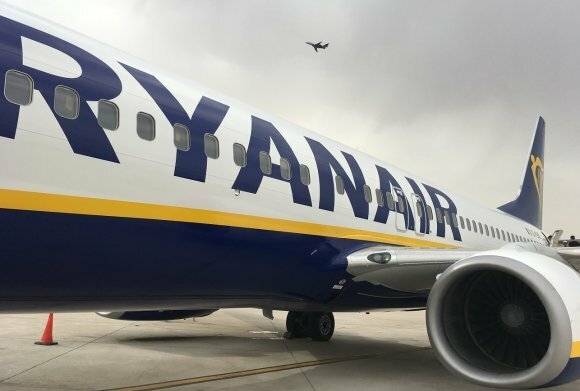 Ryanair's capacity increased by 4.8 percent in July 2017, compared with June, to 12,776,400 available seats. The Irish carrier's overall market share during the month was 9.86 percent, down slightly from 9.99 percent in June 2017. Turkish Airlines was the big climber in the top ten, with a capacity rise of 13.6 percent to 7,213,851 available seats. Istanbul Ataturk (IST) recorded the largest monthly growth of total available seats during July 2017, rising by 10.3 percent to 3,799,957 compared with June. London Heathrow (LHR) retained its dominance at the top of the table. 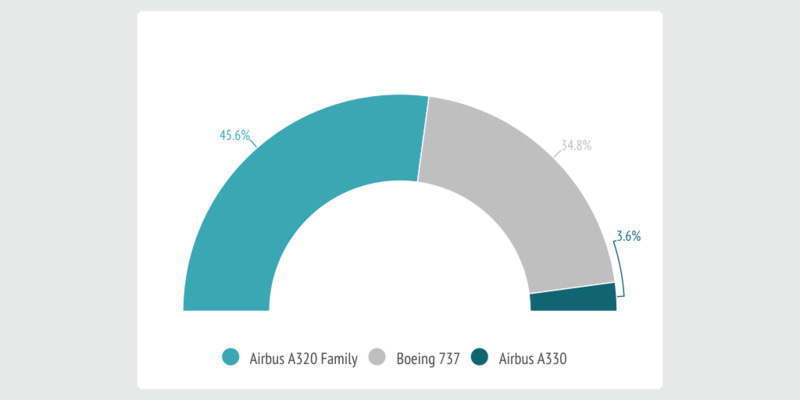 Airbus' A320 family and Boeing 737 unsurprisingly dominated the aircraft used in Europe during July 2017. A record 75.3 million tourists arrived in Spain during 2016, up by 9.9 percent on 2015. 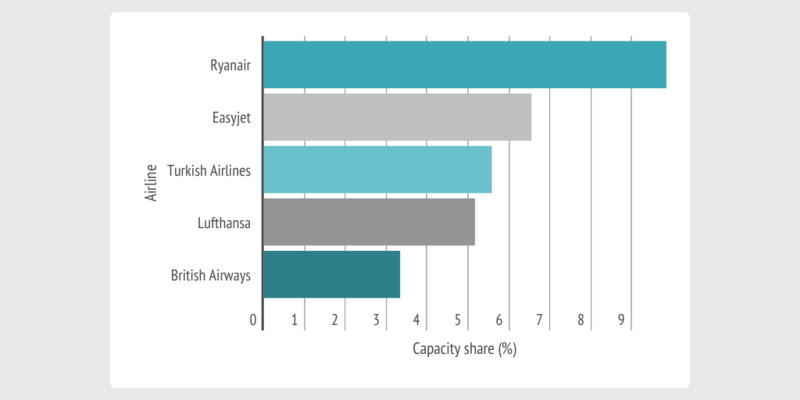 Fuelled by the expansion of low-cost carriers such as Norwegian, Ryanair and Vueling, international departure capacity leapt by 13.8 percent to almost 91 million in 2016.